Many young people don't go to the doctor until something is wrong. Older individuals, however, should go to their regular doctors once a year for a full physical. This way, the physician can ensure any treatments that the senior is taking are still necessary and working properly. The doctor may check your senior loved one's vitals, ask about sleeping and eating habits, as well as address any concerns. Be sure the older person mentions any aches and pains, skin discoloration or other issues he or she is worried about. Yearly eye doctor appointments help prevent glaucoma and treat aging eyesight. As people age, their optical health tends to decline. While a senior may not need glasses one year, eyesight can drastically decline and require adjustment with the help of an eye doctor. 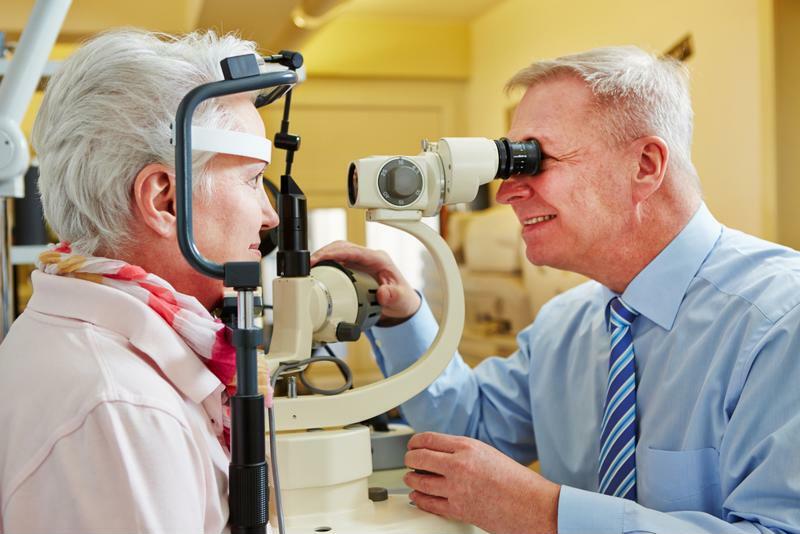 Yearly appointments typically consist of vision tests that assess how seniors can see up close and far away. The practitioner will also ask about headaches and dry eyes, as many seniors experience a lack of optical lubrication. Your loved one may take prescription medications that contribute to eye dryness, and an optical physician can suggest ways to address this issue. Older people are also susceptible to eye problems caused by glaucoma and diabetes, so it's necessary to catch these early. Seniors' teeth are often more fragile than when they were younger. As the years go by, the enamel that protects our smiles can wear down, leading to more frequent cavity growth or even tooth breakage. "Seniors' teeth are more fragile than when they were younger." Yearly dental appointments, complete with x-rays and cleanings, prevent dental damage. Encourage your older loved one to brush and floss twice a day to remove plaque and prevent buildup. Also, make sure the person is properly cleaning dental implants, retainers or dentures. These items may require extra appointments to ensure they fit. Older people may have pre-existing medical conditions that require them to see a health specialist. Some individuals require a trip to the allergist while others are involved in speech therapy, physical therapy or holistic practices like acupuncture. Some of these wellness necessities involve much more frequent appointments, so help your loved one remember to attend as needed. Assisted living communities offer transportation to medical appointments. This helps family members as they don't need to take time off to drive their senior loved ones. Plus, many older people feel more independent because they can simply hop on their communities' transport vehicle to head to their health obligations. Some assisted living communities also offer in-house options, like speech and physical therapy, so be sure to keep that in mind when looking for the best option for your senior friend or relative.